By now you’ve heard that the higher ups at Legendary Pictures have decided to shift their legendary ape, King Kong, as well as his upcoming eponymous film Kong: Skull Island from long-time distributing partner Universal Studios over to Warner Bros., which controls the film fortunes of Godzilla, the undisputed king of all monsters. This move has been seen as an obvious attempt to align the two monster-fueled franchises so a new generation of fans can see these titans clash on the big screen somewhere down the line. It sounds fun; hell, who am I to say it won’t be fun? I’d love to see these two settle a score they started way back in 1962, but I prefer to call a spade a spade, which brings us to the top nine reasons why – while fun in theory – this is a bad idea for both franchises going forward. While admittedly difficult to resist from time to time, versus debates often appear childish, crass and simplistic in all the worst ways when adapted for the screen. Whether we’re talking about enduring cult franchises such as A Nightmare on Elm Street and Friday the 13th, or respected sci-fi classics like Alien and Predator, distilling their finer points into literal fisticuffs between their central creations rarely scratches the itch the way we think it’s going to. 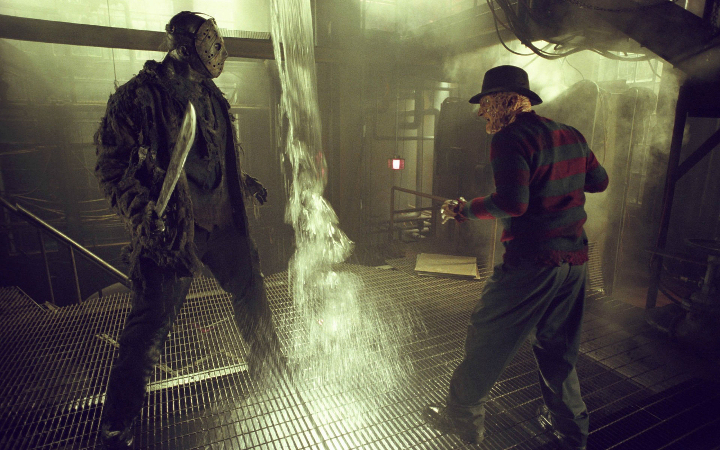 Taken on their own, Freddy Krueger and Jason Voorhees are two of the most terrifying figures in the history of horror – likewise with the titular monsters in the Alien and Predator series – but it seems that placing them together inevitably results in shoddy script work, glaring tonal shifts and uneven pacing as the same traits that lend such characters and creatures substance and reality in their respective domains clashes far more violently than any actual carnage between them when placed in each other’s company. The stark uniqueness of the one is undermined by the other, reducing the whole to something lesser than the sum of its parts. 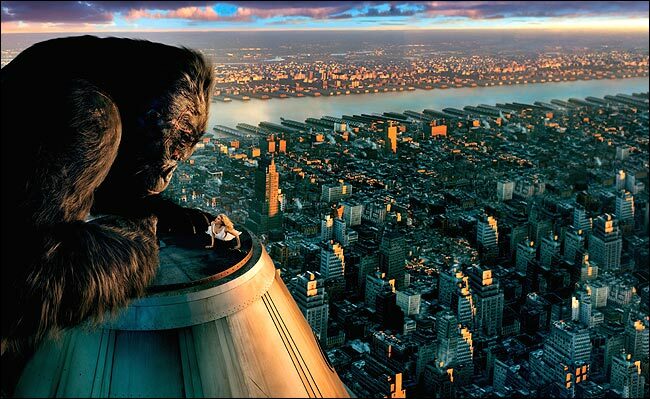 In solo films, King Kong and Godzilla are veritable gods on Earth; placing them together draws immediate comparison and inevitably diminishes one or both combatants before the first volley is even launched. 2. How Will Kong Possibly Compete? 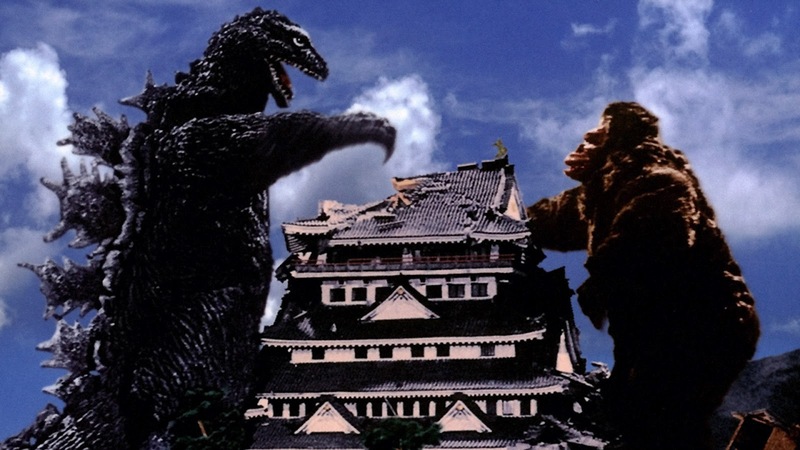 If we’re going to take a prospective King Kong vs. Godzilla movie at face value, the producers should excuse us for exercising our mental faculties in some small part to deduce what a hypothetical showdown like this would actually look like. In short, it doesn’t look good for the ape. Goofy 1962 film aside, King Kong is rarely portrayed as being super-huge; Peter Jackson’s was roughly the size of a T-Rex, which is to say, he’d barely approach Godzilla’s knee at his full height. On paper, this is a clash between a creature measured in meters against one measured in stories. Now, it’s true that we have not yet had the privilege of seeing the 2017 Skull Island film, so we don’t know how large the new Kong will be. 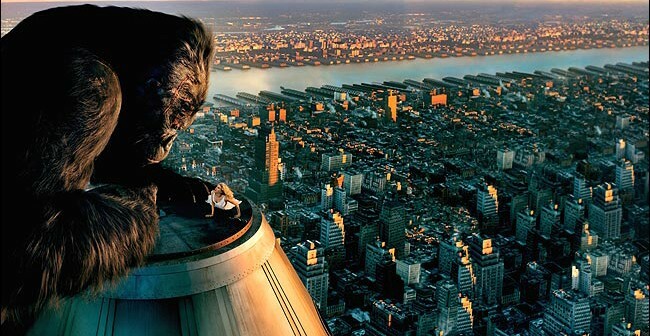 But unless they want to replace a monster whose biggest feat was scaling the Empire State Building with one that is roughly the size of it, Kong’s handicap had better be significant. Then again, maybe this is something a good old dose of gamma radiation can fix. 3. Who’s the Good Guy? The whole point of a Versus movie is to have someone to root for; now, that doesn’t mean the whole audience has to be on the same side, but there should be a compelling enough reason to choose said side. In the case of upcoming superhero films such as Batman v. Superman and Captain America: Civil War, there are clear virtues on both sides with a morally ambiguous veil separating them. That is because – Superman’s heritage notwithstanding – these are complex, human characters capable of championing and embodying disparate ideas that can’t be resolved through reasonable discourse. People can get down with that almost as readily as they can get down with really cool looking fights. You can have a compelling narrative without a fight just as you can have a badass fight scene without subtext. What you can’t have is a Versus movie that succeeds on the whole without investing in both. It seems a reach to think we’re going to get both out of two giant animals, which is why we need a reason to root for one of them. The problem is, these are both dangerous, albeit virtuous creatures that lack complexity or ambiguity, although you could argue a bit for Kong in this case. Still, making one sympathetic without destroying the essence of the other is a tough task. None of us has seen Batman v. Superman, but all of us can guess as to the general plot structure. The two titular heroes will have a rich moral and physical disagreement that embodies who they are, both separate from and in relation to one another. There may be a winner and there may be a rematch with a different outcome. But sooner or later, a bigger threat will materialize, forcing our heroes to unite for the greater good. If it sounds like I’m disparaging that sort of a structure, I’m not – at least not really. As I argued above, Batman and Superman are human characters in all the ways that matter most. This sort of a structure feels organic because we see people put aside their differences in defense of a common goal all the time. 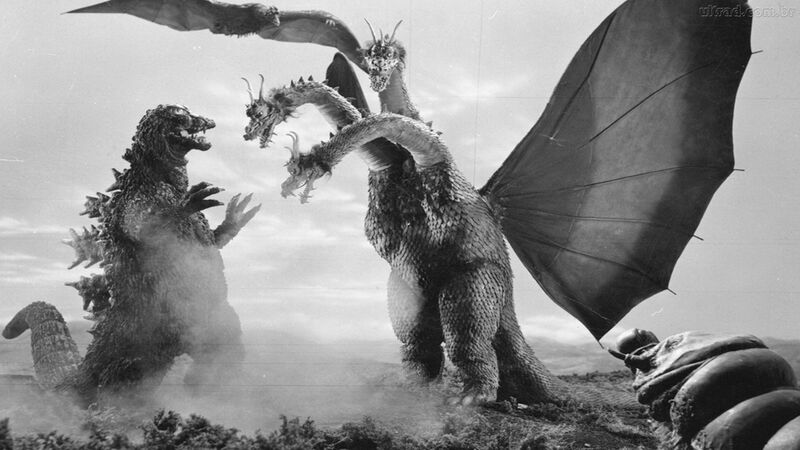 We’re simply not going to get that sort of complexity out of a King Kong vs. Godzilla movie. We’re going to be there to see some carnage, and we’re going to be there to see a winner; only, there isn’t going to be one. (More on that later.) And in the place of a narrative catharsis that may or may not be reached in Batman v. Superman, we’ll essentially have blue balls after watching two monsters fight each other for a while only to team up to fight a bigger monster for a longer while. It’s got a lot of potential to resemble the awkward and almost laughable final battle from this summer’s Jurassic World … only it won’t be a throwaway, cheer-inducing scene – it’ll be the meat of the narrative. 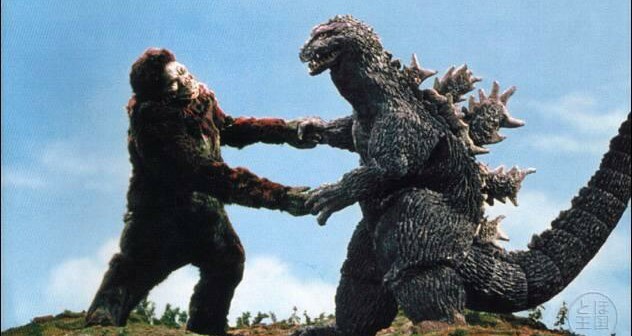 By the time this inevitable showdown goes down on the big screen, we’ll have had up to two Godzilla films in this shared universe and one Skull Island. If the other movies – King Kong vs. Godzilla included – are following in the footsteps of Gareth Edwards’s 2014 reboot, we’re in for a rather grim ride, which implies heavy stakes. Edwards’s film is a contentious one; some loved it while others hated it. Others still, such as myself, were caught somewhere in between. While Godzilla himself was a marvel to behold, the final battle was barely enough to whet the appetite, and the heavy dramatic tone fell completely flat. Edwards attempted to create dramatic tension between the human characters in a bid to introduce emotional stakes into the narrative outside of the obvious large-scale destruction being wrought by the respective monsters on the loose, and he failed miserably. 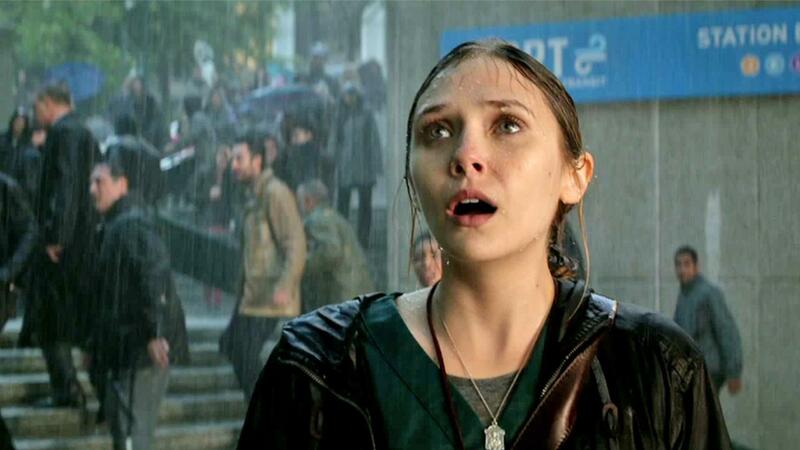 In a Godzilla vs. King Kong film, we’re liable to find the human characters even less relevant than we did before, making the stakes purely superficial; we’re talking San Andreas levels of CGI destruction and mayhem with even less reason to care. Which would be fine, if the movie were fun … but fun doesn’t seem like something this new series is looking to have. Along those same lines, perhaps the biggest issue facing this eventual film is the inevitable identity crisis it will find itself in from the initial marketing push straight on through its theatrical release. 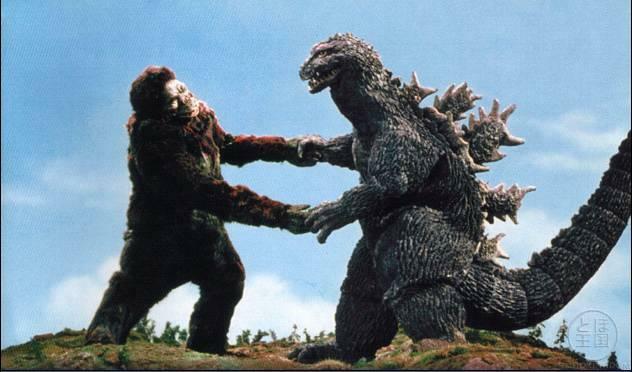 The idea of Godzilla vs. King Kong is inherently silly, but if the filmmakers want to achieve any semblance of consistency with regards to the franchise Edwards rebooted, the concept is largely going to be played straight. All in all, Godzilla vs. King Kong could very well end up looking like an overly serious, self-important version of Rampage, an upcoming film adaptation of the popular arcade game starring Dwayne “The Rock” Johnson. If reports are to be believed, this one will go into production next year, surely beating Godzilla vs. King Kong to theaters in 2017 or 2018. I suppose it’s possible that a successful Rampage film will increase market awareness of and support for more of the same, but audiences may be in for a bit of an unwelcome shock when they get something wholly different in execution. Admittedly, the filmmakers are caught between a rock and a hard place with regards to making this Versus movie a worthwhile endeavor from a narrative standpoint. Following a typical team-up plot structure just isn’t going to work the same way it will in comic book movie universes, and having a definitive winner – while potentially embraced by the audience – would completely derail one franchise or the other. Additionally, the Marvel Cinematic Universe and the upcoming DC Expanded Universe feature world building that feels organic and relevant to the overarching sagas being explored in both film universes. Trying to mold a Godzilla sequel and Skull Island to lead to an eventual crossover just sounds like a terrible idea that could squander whatever real potential both films have. Unfortunately, there has to be some level of connection hinted at between the franchises before we see these two do battle, otherwise it’s going to feel just as random and rushed onscreen as it appears on paper. The Monarch organization being briefly mentioned might not cut it. 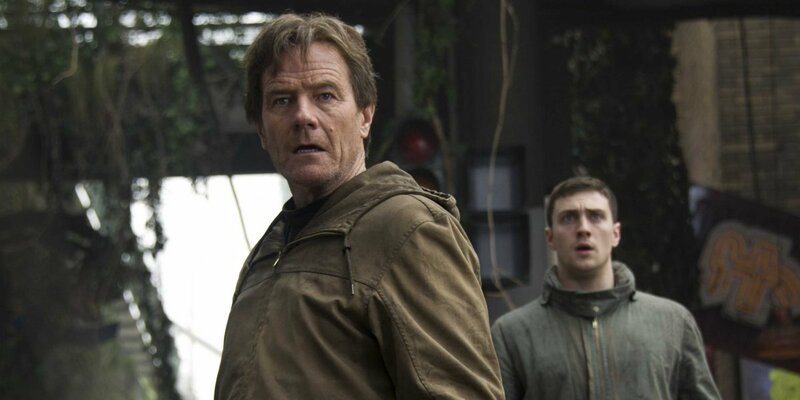 If there is one thing I hate above everything else from Edwards’s 2014 Godzilla film, it is the inexcusable wasting – both literal and figurative – of Bryan Cranston’s character. For the first half of the film, he provided the emotional core where Aaron Taylor-Johnson provided the inept and dragging momentum that kept the plot moving (meandering) forward. Somewhere alone the line, they realized they really had nothing more for him to do other than to serve as a cheap note of tragedy to buoy the threat posed by the monsters. It was unearned and ineffective. According to reports, Kong: Skull Island will feature a fantastic cast comprised of Brie Larson, Tom Hiddleston, Toby Kebbell, John C. Reilly, Samuel L. Jackson and Corey Hawkins. While the project’s move to a new studio casts this in doubt, it gives us an idea what sort of a project they were going for before the latest crossover announcements. All of these actors have a chance to shine as the narrative may look to play their humanity against that of the titular ape. In a Versus/Team-Up movie, there’s no way we’re going to need strong performances from a cast of experienced thespians. Either they’re going to be used and completely wasted, ie: The Cranston Effect, or they’re going to be shuffled to the side in favor of a forced plot that completely abandons character to get these two monsters into the ring. If a recent report is to be believed, the move from Universal to Warner Bros. comes on the back of a continually strained relationship between Legendary and Universal, of which Pacific Rim 2 could be the first notable casualty. While it’s obvious that both Legendary and Warner Bros. see a Kong-Godzilla mashup as a potential goldmine, the idea that Universal passed on co-financing the Skull Island film could mean big changes are coming as the impetus changes from making a great King Kong film to producing the latest in a long and increasingly exhausting line of shared movie universes. What’s more, the report stipulates that the Skull Island film is essentially being shoehorned into Warner’s existing Godzilla universe. If I’ve aired concerns that the stellar cast could be playing second fiddle to the monsters, this should also raise concerns that Kong himself may be something of a fill-in in this Godzilla-focused trilogy; basically, it confirms that both points 7 and 8 on this list are real possibilities. Or the movie will turn out great and all this hand-wringing and soap-boxing will be rendered moot. I suppose we can revisit these arguments in a few years to find out.